DVDs for any Year. Do your customers or clients prefer a more audiovisual approach? 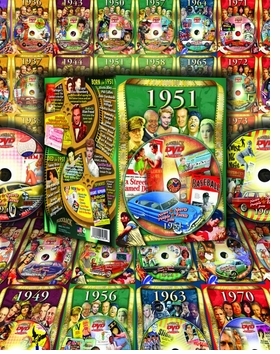 These corporate gifts make fun milestone birthday gifts or wedding anniversary gift ideas. 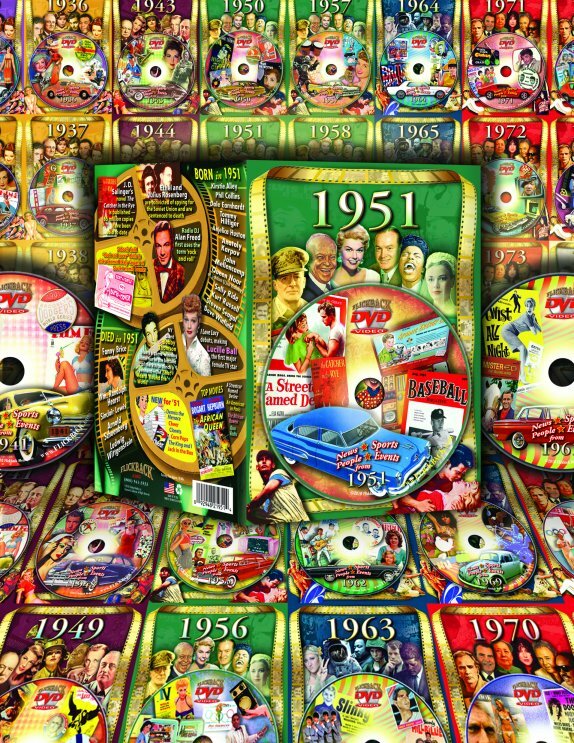 Each DVD focuses on the year, and is about thirty minutes long. They will view news footage from the year, see what things cost that year, hear a few song clips from they year and see more information about sports and celebrities in a neat, entertaining format. We have DVDs for 1929-1981. Contact Us for a bulk price quote.